Nala attack Zira. . HD Wallpaper and background images in the o rei leão club tagged: disney the lion king lion lion king. Are you sure that's Nala? 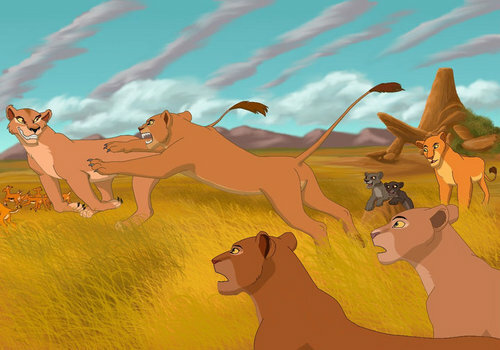 I'd say that the second Lioness on the bottom right was Nala, it looks alot more like her. Looks more of like Sarafina!!! Nala's Mom!! !